New Years Eve – Hello 2017! HAPPY NEW YEAR! I wish you all the best for the new year! I know that a lot of people are talking about how bad this year has been and I get it considering Brexit, Trump and the number of deaths of beloved artists and actors this year but, personally, I have had a pretty good 2016. I completed my LPC and made some great friends a long the way and have started the trip of a lifetime on the other side of the world which also means that 2017 promises to be pretty incredible. 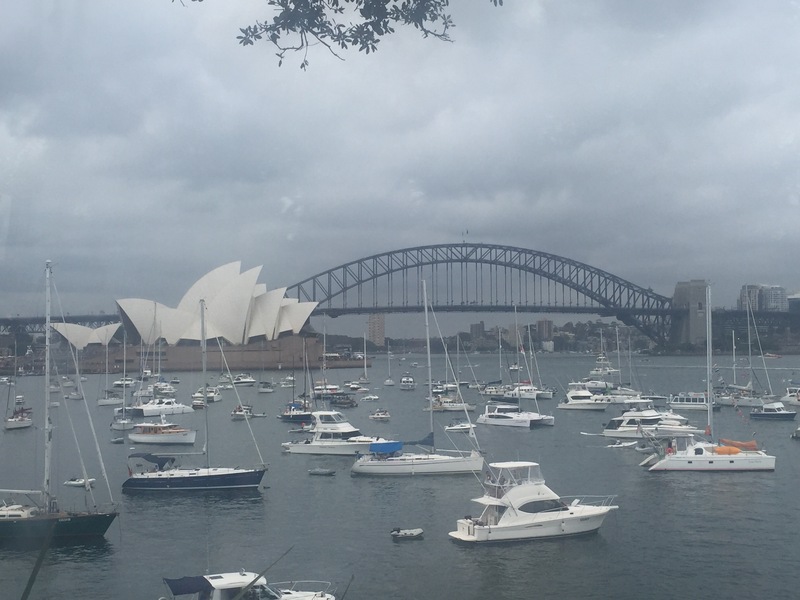 We had researched the best place to see those famous Sydney Harbour fireworks and decided on Mrs Macquaries Point. We were up early and joined the queue for the venue at around quarter to 9. The site opened at 10 and even by the time we had arrived, there were probably a few thousand people already queuing – some having queued overnight for the best spot. We had a picnic and blanket so were all set up for a long wait and were hopeful that we’d be able to get a decent spot for the fireworks. What we hadn’t anticipated was the lack of security presence which led to the queue we were in being completely uncontrolled once the park opened at 10 and the line started to go. This led to a stampede of everyone trying to get further down the queue to get in faster. It was ridiculous and led to being squashed and also being next to people who had arrived a lot after us or way before us making getting up and arriving early redundant. With the heat and people having queued for ages, tempers started running high when, once the queue was a bit more under control, people were still pushing in. It took a lot of shouting and protests from the queue to actually get security to do their jobs and stop people pushing into the queue – I think this was just in time before fights would have broken out. This venue had a capacity number and would close once it was full – not to mention the need to get a good view for the fireworks – so you can understand why people (including ourselves) felt so passionately about this shambles of queue policing. 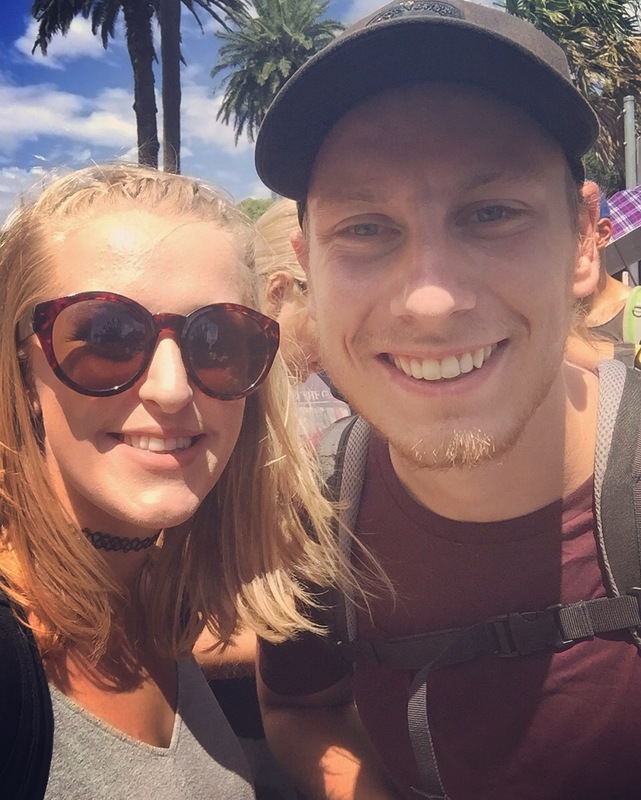 After a couple of sweaty hours in a very cramped queue, we had our bags searched and got into the park. We found a spot on the grass (it was already pretty busy) and settled in for a 13 hour wait for the midnight fireworks. It wasn’t as bad as it seemed and we had a good day relaxing. Sophie’s friend Karina was also there which was great for Sophie and I had brought glitter so we (except for Niall) glittered up for the evenings events. It wasn’t just the midnight fires on offer but an air show and then some 9pm fireworks for families who didn’t want to stay until midnight. These were a good chance to scope out the best place to watch the midnight fireworks. 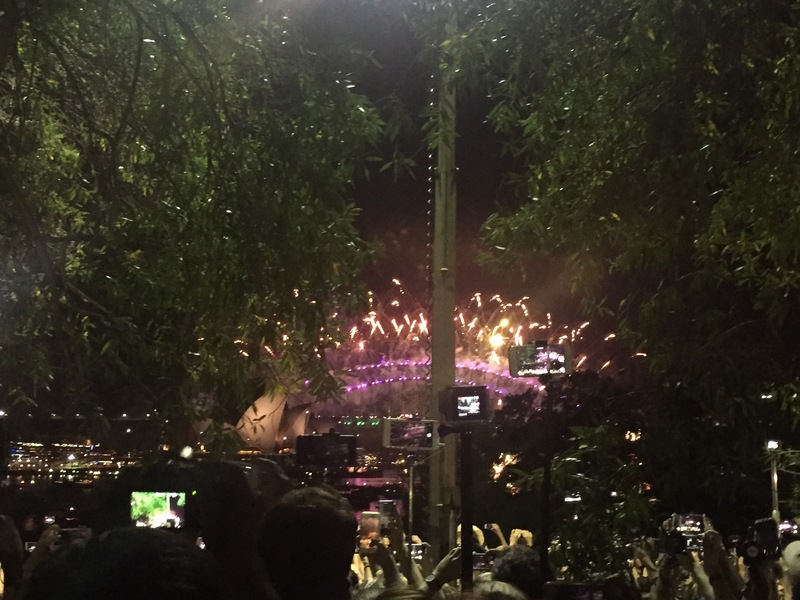 We hadn’t expected there to be so many trees obstructing the harbour so it was even more important to try and get a good spot (we hadn’t done all that prep not to see the fireworks on the harbour!). The 9pm fireworks were on for 8 minutes and were good (nothing compared to the main event). 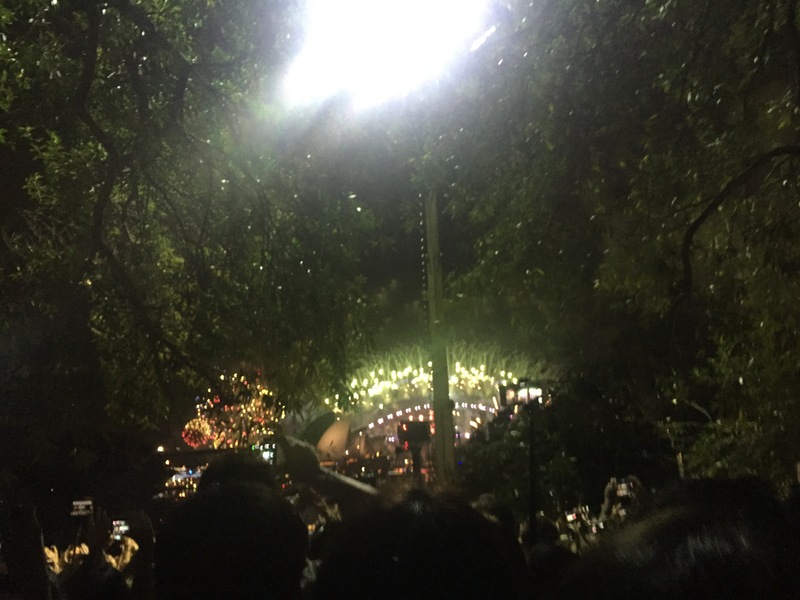 We managed to see them reasonably well from our spot from looking through the trees but couldn’t see all of the vantage points so we decided that we could get a better spot for the midnight show. 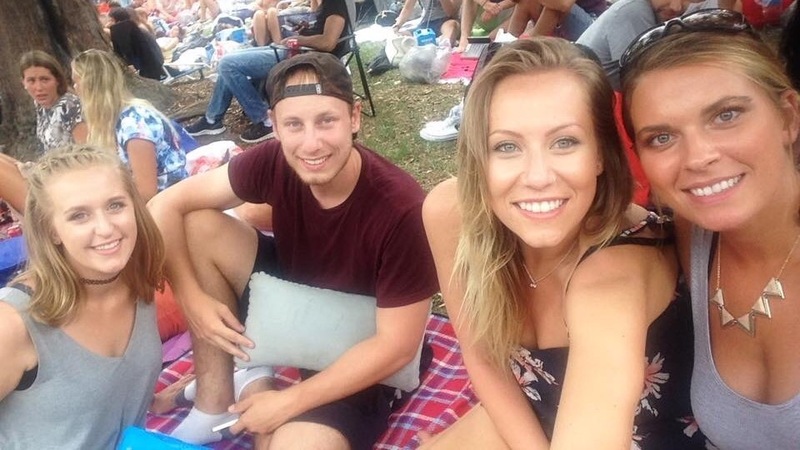 We managed to find a spot under a tree with the hope that, once everyone stood up from their spots, we would all move forward and get an unobstructed view of the harbour and bridge. We had a few hours to wait but they went quite fast and someone nearby had a speaker and was playing music so the atmosphere was great. 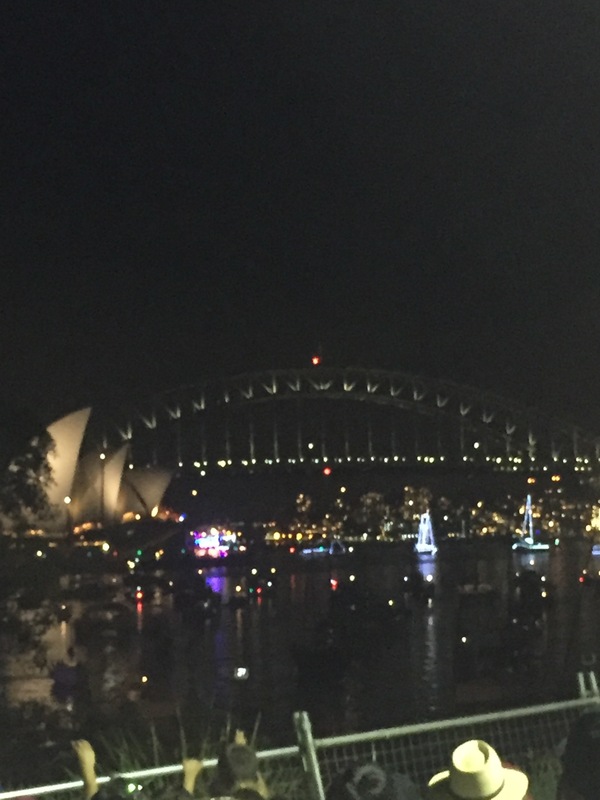 Our plan worked and we got a fantastic view for the fireworks! 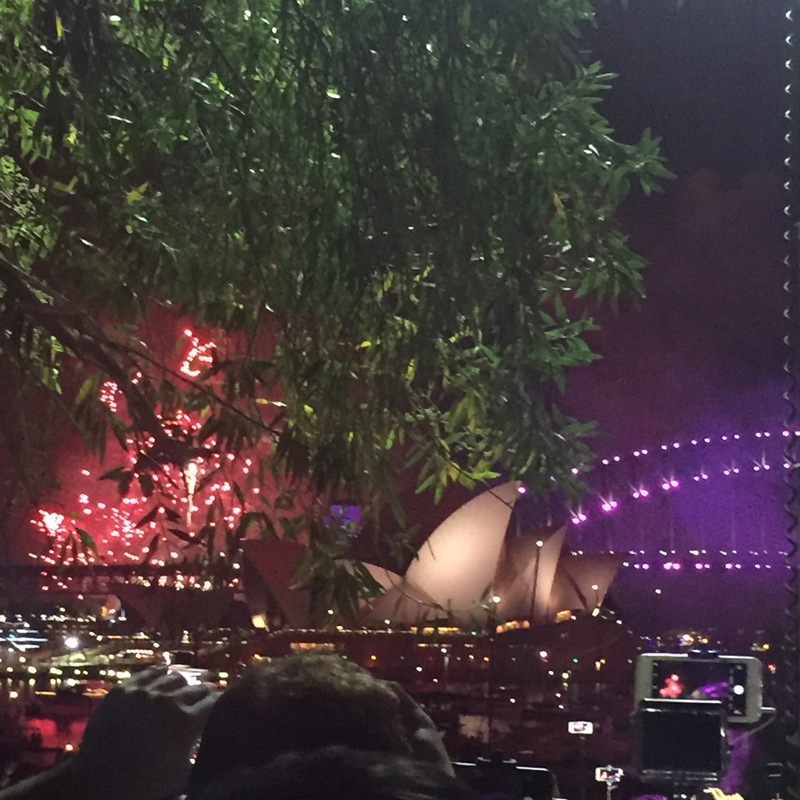 There was a countdown and at midnight all of the fireworks went off on the bridge. 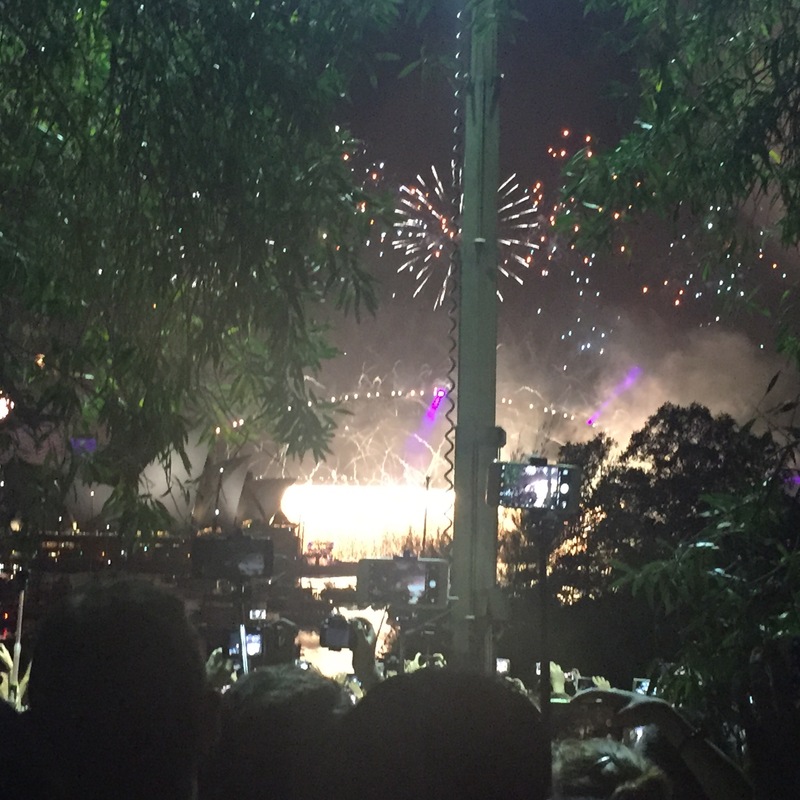 It was amazing bringing in the new year and counting down with 16,000 people (1.5 million watching it in the city) and the 12 minute long firework display was incredible – hard to explain just how good! 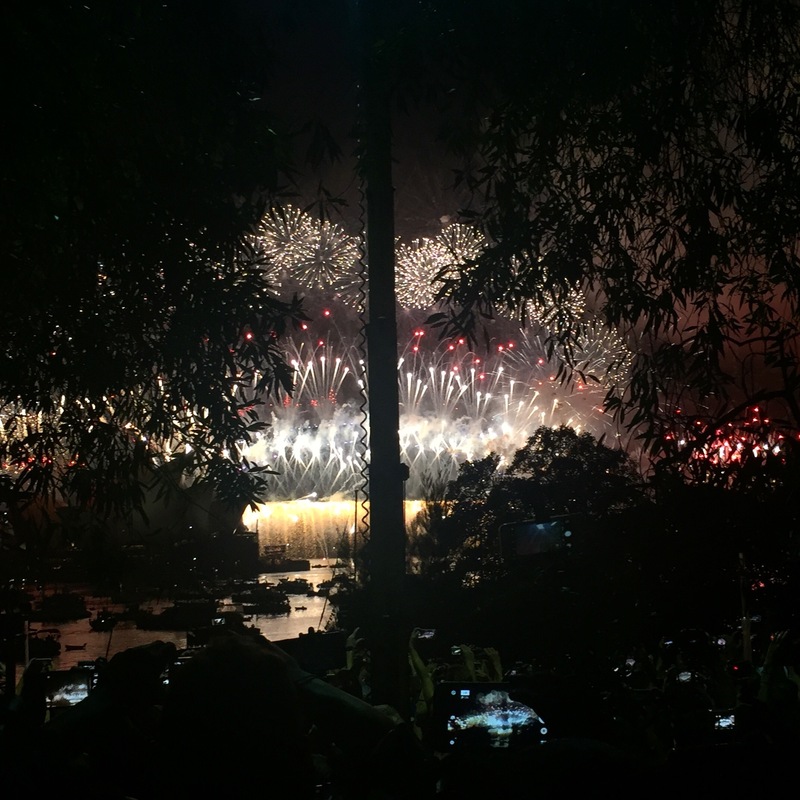 I think it is probably the best New Years Eve I have ever had and I’m so glad that we got to be in Sydney for one of the most famous firework displays in the world – worth the long day, waiting and pushing in crowds and everything else for those fireworks!